Happy December everyone! I haven't made a blog post in quite a while as, alas, I have been swamped with schoolwork. I have quite a few posts to make so look out for those soon! Today I wanted to share and review a few items I've purchased/received as gifts from Marc by Marc Jacobs. Meet Katie the bunny, Pickles the puppy, and Shorty the dog! This is Katie the bunny. You can buy this style in a variety of different items - an iPhone case, earrings, an iPad case, a pink coin pouch (like the one I have), a spotted coin pouch, and even a USB port! All of the items are extremely cute. Finally, allow me to introduce you to Shorty the dog! This is what the Shorty iPhone case looks like. Now for a quick review! 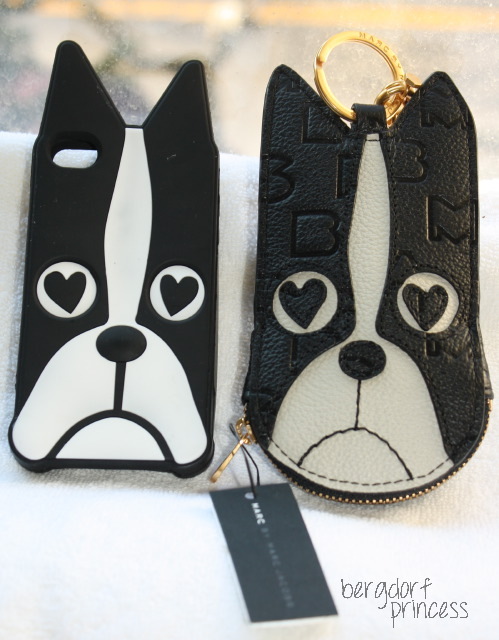 These MbMJ cases are really good cases. I've used both already - I alternate them. They are really convenient and they actually protect my phone. I always get complements on them, as well, and they brighten my day with how cute they are! Also, since they are rubber, I can slip my ID card and Metrocard into them for easy access, since my phone is always in my hands. The only downfall is that they are a little hard to put into my back jean pocket if need be, but that's not a major issue. Overall, if you're looking for a cute and functional iPhone case, this is the way to go. Marc by Marc Jacobs has made them in several varieties, each one cuter than the other - you can choose from Javier the owl, Julio the zebra, Rue the cat, Pickles the bulldog, Katie the bunny, and Shorty the dog. Now for a quick review of the coin purses! They are super cute and fit quite a bit; you could probably use them to store keys or an ID. You can also use them if you quickly need to go somewhere and not take a lot with you. They have key chains so you can hang them on your keys, or, as I plan to do, on to a bag. 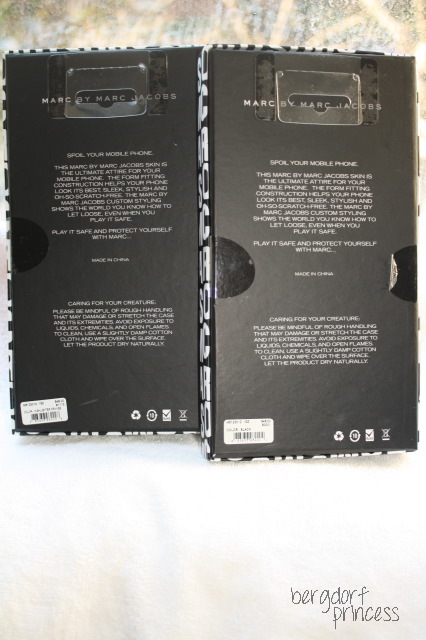 Marc by Marc Jacobs has a variety of these coin purses, as well - choose from Prince the frog, Pickles the dog (spotted), Pickles the bulldog (orange), Shorty the dog, Katie the bunny (spotted), or Katie the bunny (pink). Aww, those are too cute! I would love to get a coin purse. Just wondering, does color rub off easily onto the iPhone cases? I currently have a rubber case and all the edges are blue from my jeans. Those are soooooo cute! Need one MJ case!! !